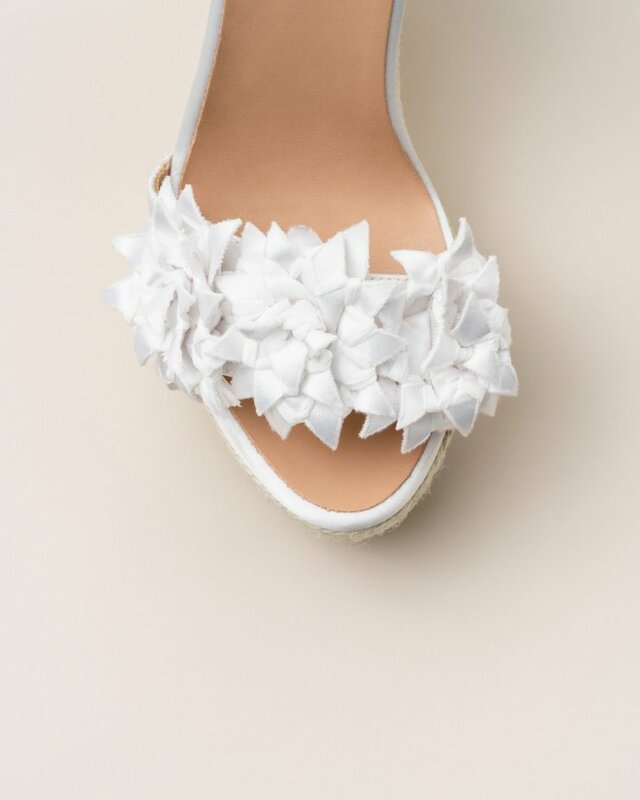 White silk bridal espadrilles. Detail of three flowers strip in the instep and closed heel. White high jute wedge.